Gowi Toys water mill has working pump and spinner. 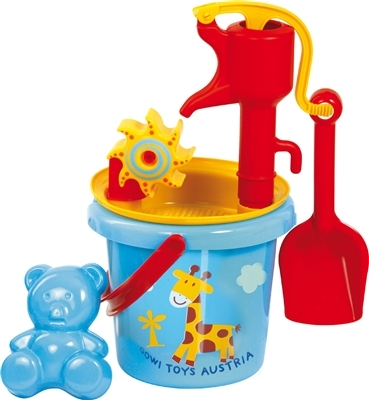 Set includes bucket, sieve, shovel and sand mold. Assorted colors and animal designs.